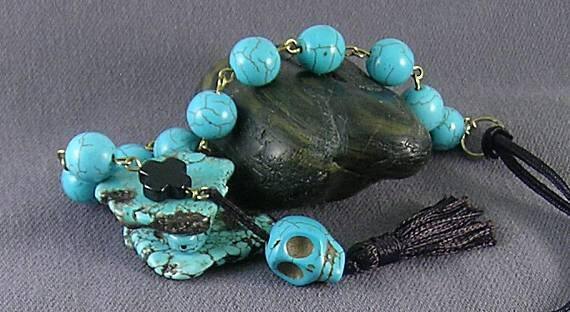 This paternoster is called a New World rosary because it appears to be made of turquoise which was a popular stone in the Americas during the exploration of the New World during the 16th Century. 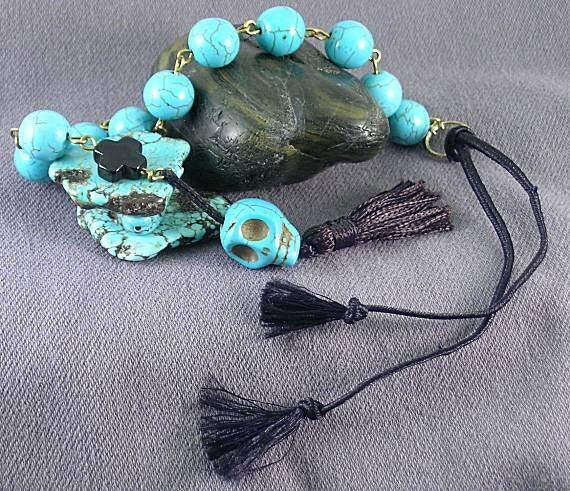 It is made of 12mm round beads, a small equal arm onyx cross, an 18x14mm skull. These were sold to me as turquoise but I believe they may be dyed magnesite. It ends with a black tassel and measures approx. 14" including the black tassel and ring. 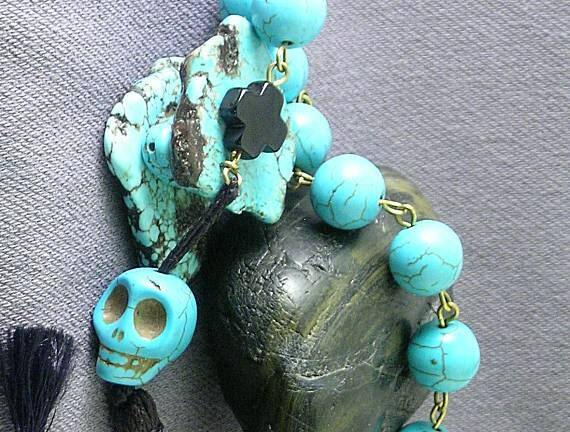 Memento Mori jewelry, including rosaries, with its unflinching use of symbols of death and its purposeful message "Remember you must die" was widely worn in Western Europe during the sixteenth century and there is one skull rosary that dates back as early as 1250.